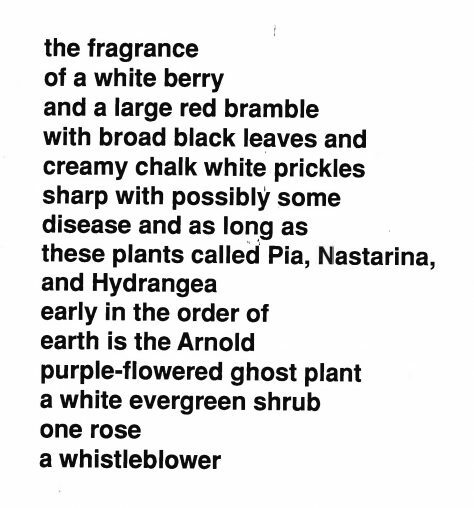 “Whistleblower” premiered at The Kitchen in spring 1992. The four-part dance work consisted of two solos and two duets by the choreographer and poet Rebekah Windmiller, which explored the antagonistic experiences of desire, denial and isolation through movement and text. The two solos, “Mad River” and “Armed Garden” were danced by Windmiller. “Wash” was a duet in which Windmiller threw buckets of water over the dancer Jane Weedon who then cleaned up the mess. The second duet, “Wildflowers” was performed by the dancers Lene Boel and Maggie Manetti.